Dionne "Mike Nguyen from Go Asia was an absolute delight to deal with. Communication with Mike was great. The number of emails exchanged between Mike and I, the changes and updates, Mike met all our requirements which made our holiday so much more reasurring. We did the 14 day Vietnam/Cambodia tour the hotels were in very good locations, transfers from airports and hotels was welcoming, the tours were we..."
Start in Hanoi and end in Siem Reap! 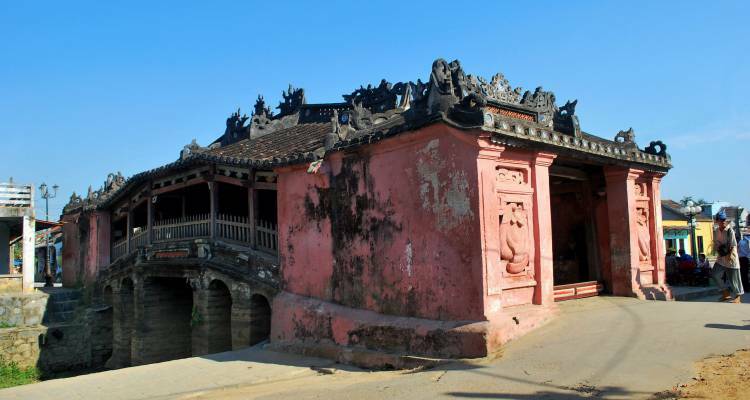 With the sightseeing tour 14 Day the Best of Vietnam and Cambodia, you have a 14 day tour package taking you from Hanoi to Siem Reap and through Hanoi, Vietnam and 7 other destinations in Asia. 14 Day the Best of Vietnam and Cambodia includes accommodation in a hotel as well as an expert guide, meals, transport and more. We really enjoyed everything about the tour. Mike was a rock star. So accommodating and flexible. We couldn't believe all the time he put into planning our tour. The hotels were great and the service impeccable. The food was always wonderful. Great value! Everything went according to plan except for one flight which wasn’t the tour’s fault. The airline company went bankrupt and there’s not much you can do about that! The tour will start in Hanoi - Vietnam and finish in Siem Reap, Cambodia. TourRadar only requires a deposit of $99 to confirm this Go Asia Travel booking. The remaining balance is then payable 60 days prior to the departure date. For any tour departing before 25 June 2019 the full payment of $887 is necessary. No additional cancellation fees! You can cancel the tour up to 60 days prior to the departure date and you will not need to pay the full amount of $887 for 14 Day the Best of Vietnam and Cambodia, but the deposit of $99 is non-refundable. If you cancel via TourRadar the standard cancellation policy applies. Some departure dates and prices may vary and Go Asia Travel will contact you with any discrepancies before your booking is confirmed. Covering a total distance of approx 2,065 km. TourRadar does not charge any additional cancellation fees. You can cancel the tour up to 60 days prior to the departure date. If you cancel your booking for 14 Day the Best of Vietnam and Cambodia via TourRadar the standard cancellation policy applies.